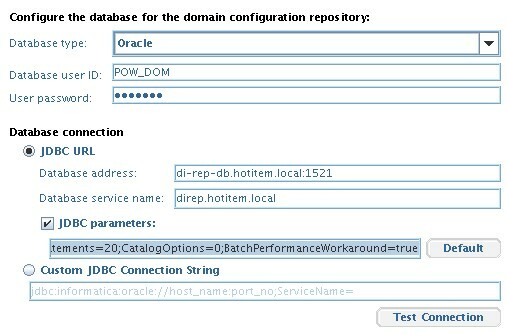 I have made it in the context of an Oracle Business Intelligence Application version 7.9.6.1 installation (on Linux) then it's why the computer name is di-obia-01. with the CONNECT, RESOURCE, and CREATE VIEW privileges. The grant “select dictionary privilege” to the user POW_DOM is only needed to verify the parameter Open_Cursor during the prerequisite check. Also verify that the default tablespace for the user that owns the repository tables is set to a small size. 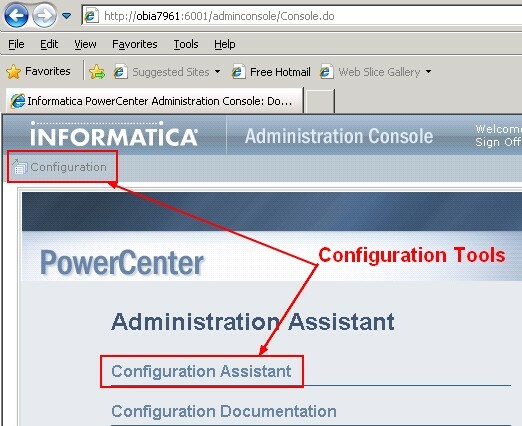 The following example shows how to set the recommended storage parameter for a tablespace named POWERCENTER_DAC. 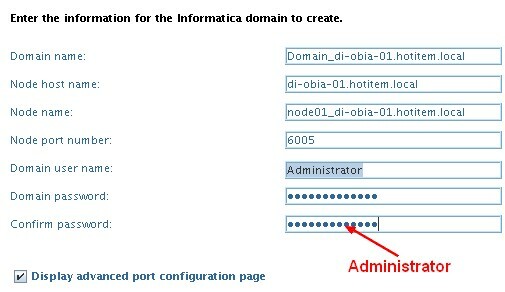 On UNIX, create a user account specifically to run the Informatica daemon. 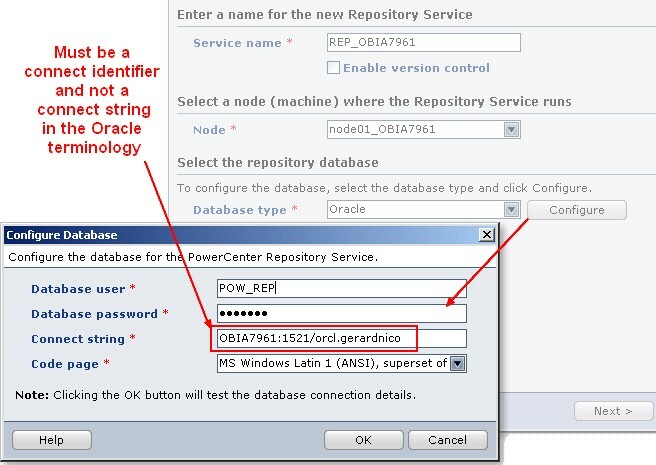 Changing password for user powercenter. Use LANG and LC_ALL to set the UNIX code page for the installer. Informatica service processes can use a large number of files. Set the file descriptor limit per process to 3000 or higher. PASSED : Resource privilege : The user account has the RESOURCE privilege. PASSED: Create Table check : Successfully created a database table. PASSED: Create View : Successfully created a database view. You can wait a long time on this step …. 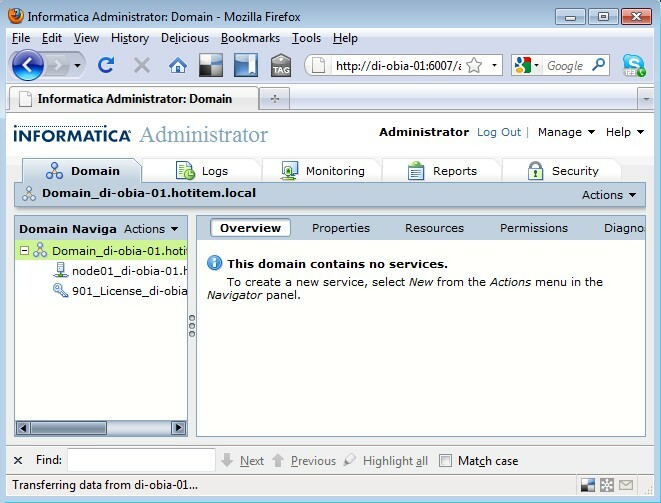 The Informatica 9.0.1 HotFix 2 installation is complete.